Ticks are found all over the United States. In Florida we know there are five types of these pests that we must be aware of. These tiny pests, sometimes smaller than a sunflower seed live near wooded and highly vegetated areas, and some types need moisture to survive. 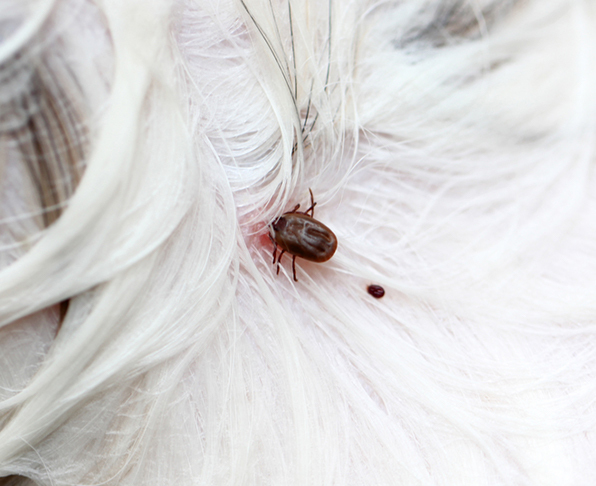 Ticks feed on blood so they spend their time looking for a perfect host such as livestock, deer, dogs, cats, or people. Ticks can cause disease in animals and people so if you have seen or live in an area that would be prime tick habitat; you need to be aware of how to handle these pests. Homes or kennels that become infested need to be thoroughly cleaned to remove as many ticks as possible. Vacuuming the home, pet areas and pet bedding is important to start. These areas are all places that ticks can be found after hitching a ride into your home from your pant legs, socks or pets. Ticks like to reside in the upper areas of the home, the dog house and even the sheds. In addition to cleaning, it is important for these areas to be professionally inspected and treated. Let the professionals at Magnum Termite and Pest Control assess and treat your tick problem before it gets worse. Ticks do carry several diseases, the most well-known being Lyme disease and Rocky Mountain Spotted Fever. While there is no way to know if the ticks in your area are carrying any type of disease, it is important to check yourself and your animals for ticks after going outside, especially in April and May. In addition to self-checks, the most important prevention is to have the tick problem addressed by the professionals at Magnum Termite and Pest Control. We know what to look for, and where to look for it! 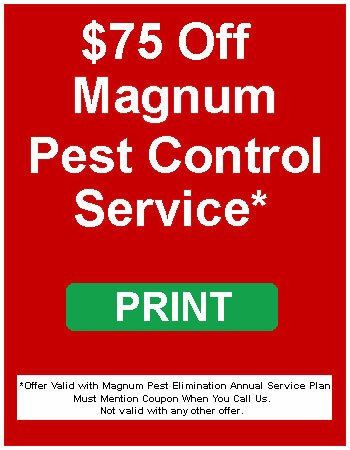 Magnum Termite and Pest Control prides itself on finding the best solution for tick problems. If you have recently found ticks on yourself, your pets or in other areas, contact us quickly. Tick bites and tick infestations should be controlled as quickly as possible. At Magnum Termite and Pest Control we understand how ticks can disrupt your life and your pets. Let us help protect you and your four legged friends.